Described as the moral heir to George Saunders, Tommy Orange is writing from the urban Native American community in Oakland, California. There There takes us into this community as its characters prepare a celebration of their culture in the face of poverty, violence, addiction and lack of representation. The story is told from the points of view of a dozen different characters involved in putting together a powwow in the city stadium. Early in the book we intuit that something terrible will happen there. Much of the novel’s emotional power comes from reading against this intuition, and connecting with the unique voices - male and female, old and young - from around the community as the clock ticks down. Like the best fiction, this is vivid and real in its setting but universal enough to be speaking about a disenfranchised community anywhere. It could not be more timely. The terrible consequences of colonialism are still being felt acutely by people of colour all over the world. Tommy Orange – enrolled member of the Arapaho and Cheyenne tribes and resident of Oakland, California – brings his own experience to life in his debut novel, There There. Set in Oakland, the narrative follows a large and diverse cast of characters, each negotiating their life and identity in the lead-up to the Big Oakland Powwow. The novel comprises numerous storylines from many different perspectives and doesn’t hold back in depicting the struggles of its characters, yet issues such as alcoholism, mental health, and criminality are rendered with respect, honesty and resilience. Orange utilises a variety of styles to tell each character’s story, and there are many – including recovering alcoholic Jacquie Red Feather, who decides to make her way back to Oakland to reunite with her long-lost grandsons; Dene Oxdene, who documents the stories of the people attending the Powwow; and Tony Loneman, a lost young man who decides to violently rob his own people. These stories represent just some of the vast array of Indigenous experiences, yet all show how people are still living and dying in the shadow of colonialism. The stories are important, and moving, but they don’t invite sympathy or pity – each character’s story simply speaks for itself. While the quick-fire changes of perspective can be jarring at times, the fast-paced third act makes for a gripping and thought-provoking finale. 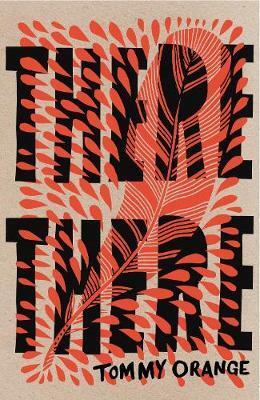 There There is a strong, challenging debut that forces us to confront the plight of not just Native American people, but the plight of all those displaced and silenced by history. Kelsey Oldham works as a bookseller at Readings Hawthorn.